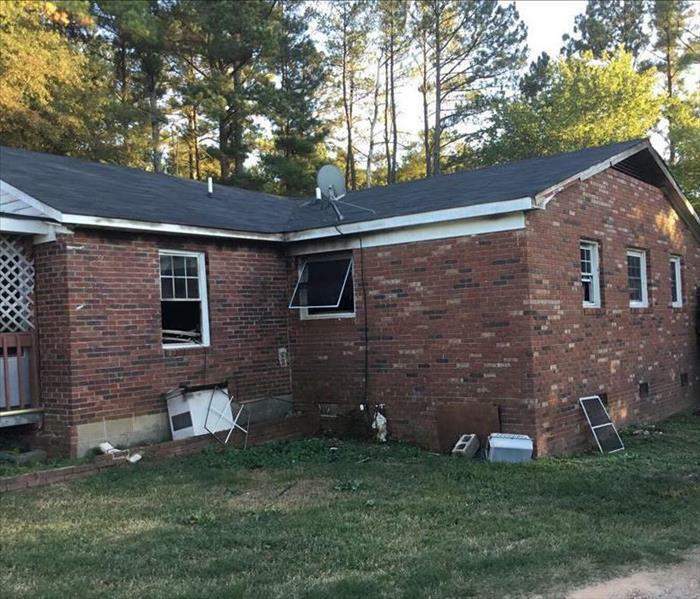 This photo shows the damage of a home in North Carolina from Hurricane Florence. SERVPRO of West Greenville County went up to North Carolina to help restore homes and commercial buildings after the terrible tragedy of Hurricane Florence. SERVPRO of West Greenville County was able to get this home back to normal in no time, as well as help with many other homes in the area! 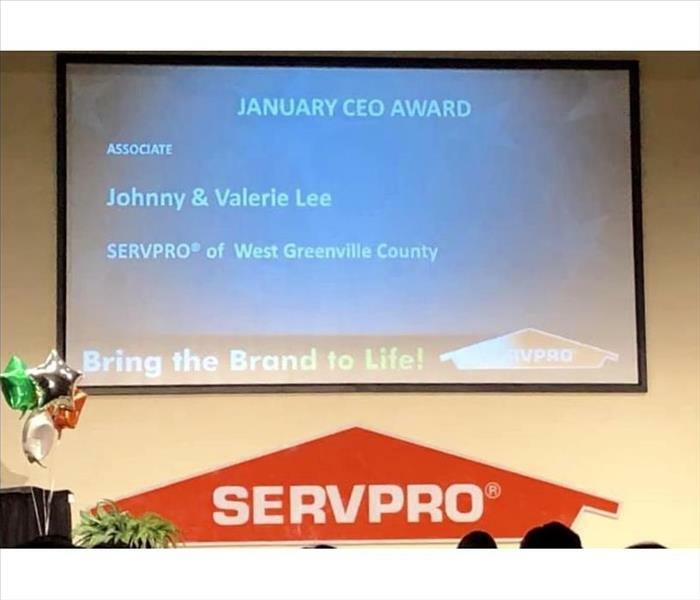 SERVPRO of West Greenville County is proud to announce that we were awarded the January CEO Award. The CEO Award is given to individuals who go above and beyond to help create an excellent organization each month. We are so proud of Johnny and Valerie Lee! 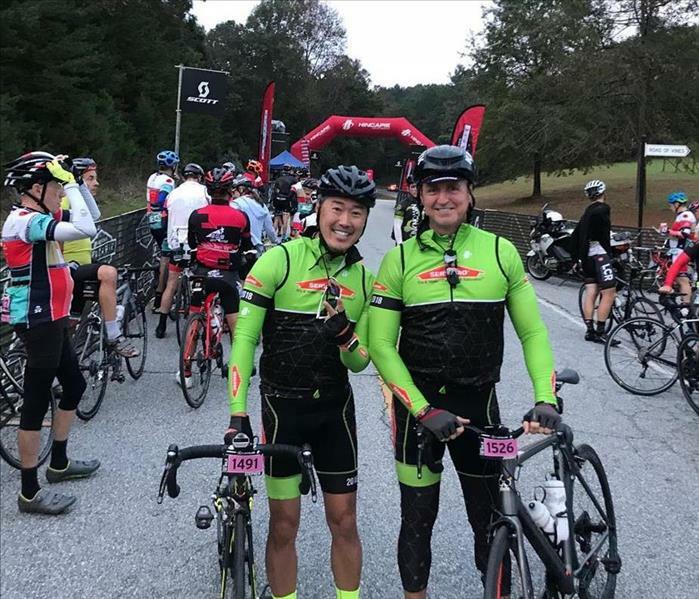 SERVPRO of West Greenville County biked and volunteered for the 2018 Hincapie Grand Fondo bike race! We would like to thank all of our volunteers for helping give back to our local community! 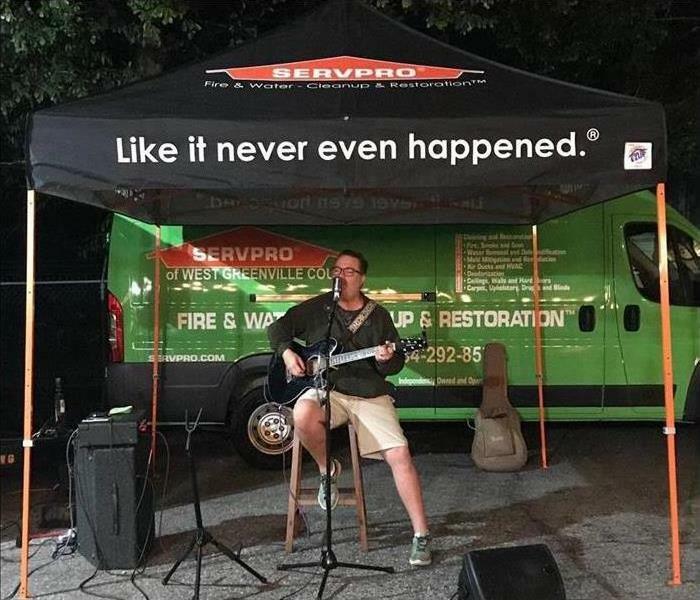 Not only does SERVPRO of West Greenville County restore water damage, but we also restore fire damage. 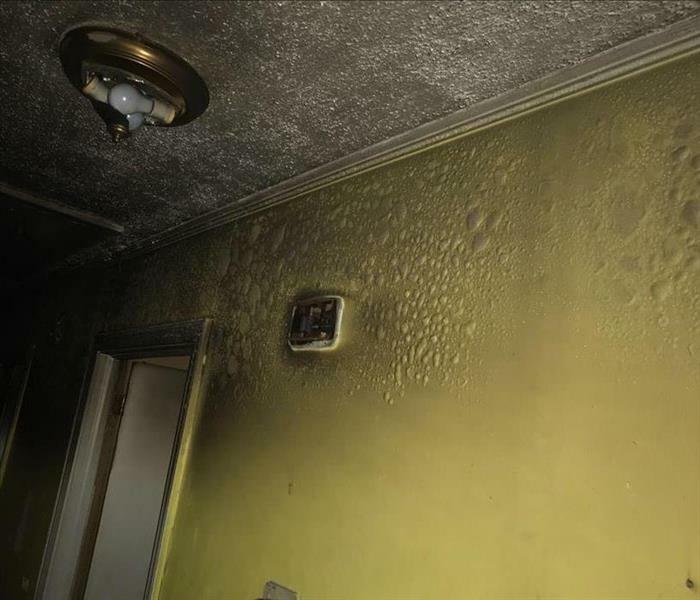 This photo is from a home that experienced a fire that damaged one room completely and the walls and ceilings of the rest of the home. This photo shows how the wall and ceilings were damaged. SERVPRO helped restore this home! 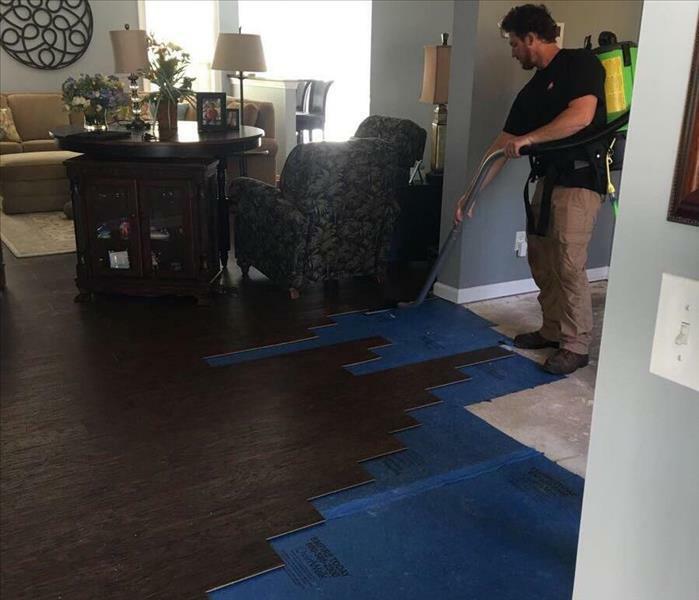 The equipment in this photo is drying the floors in a home that experienced water damage. 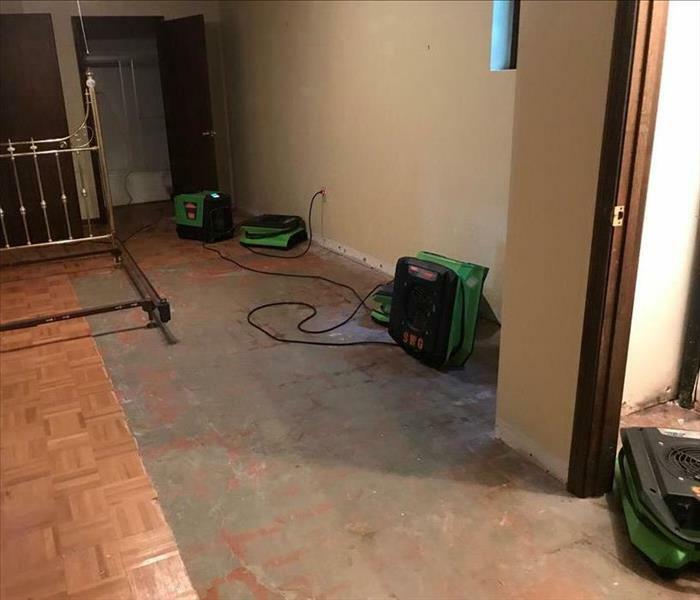 SERVPRO of West Greenville County is working hard on this job to get the home back to normal. This is the drying process from a toilet overflow in a commercial building. There was standing water in the upstairs bathroom, as well as water damage in the office down below and in the warehouse. 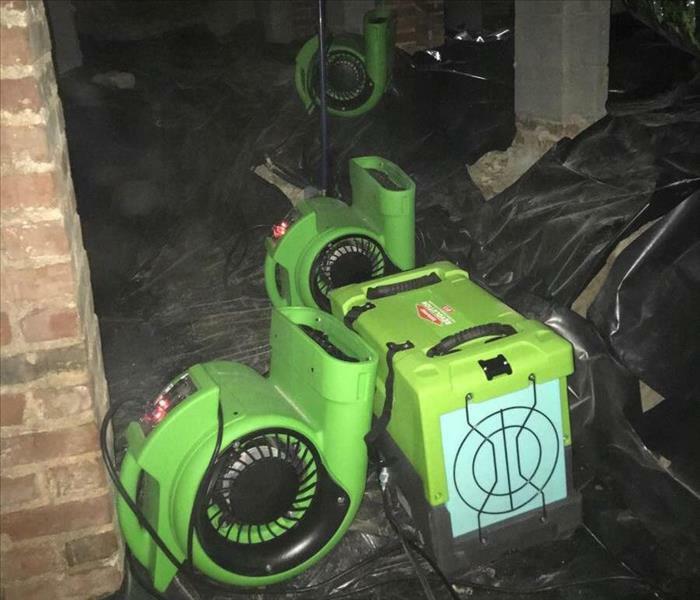 In this photo, SERVPRO of West Greenville County is using their professional drying equipment to restore the building. Owner, Johnny Lee, has been preparing for "A Ride to Remember", a 3 day bike ride to Charleston, South Carolina. The benefits go to the Alzheimer's Association. 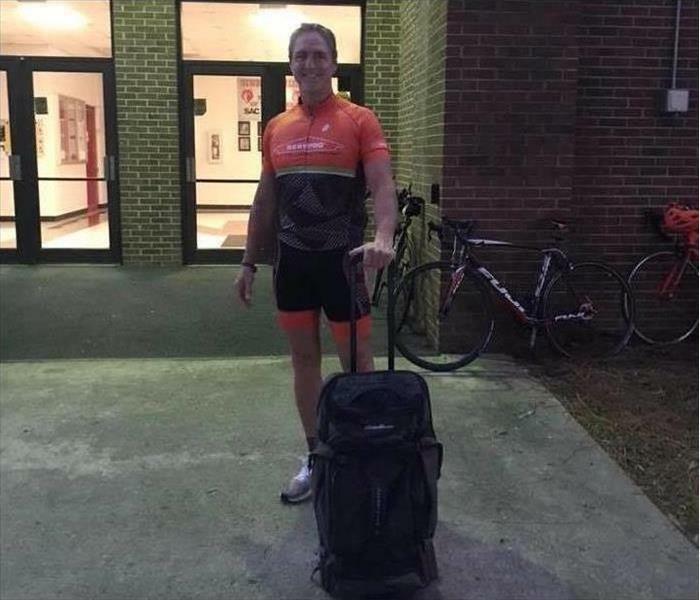 He completed the ride this weekend and SERVPRO of West Greenville County couldn't be more proud. A local church was broken into earlier this month and set on fire. 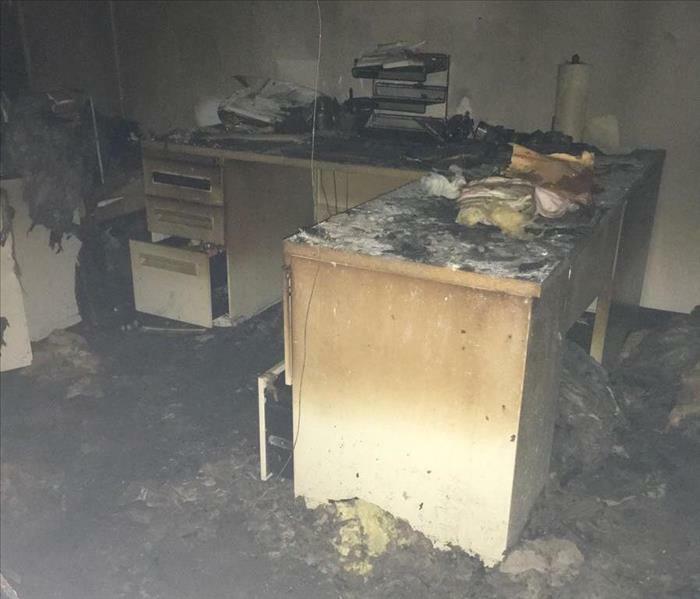 The 2 office spaces and amphitheater were set on fire. The fire not only led to water damage but also fire damage. SERVPRO has been working to restore the damage. 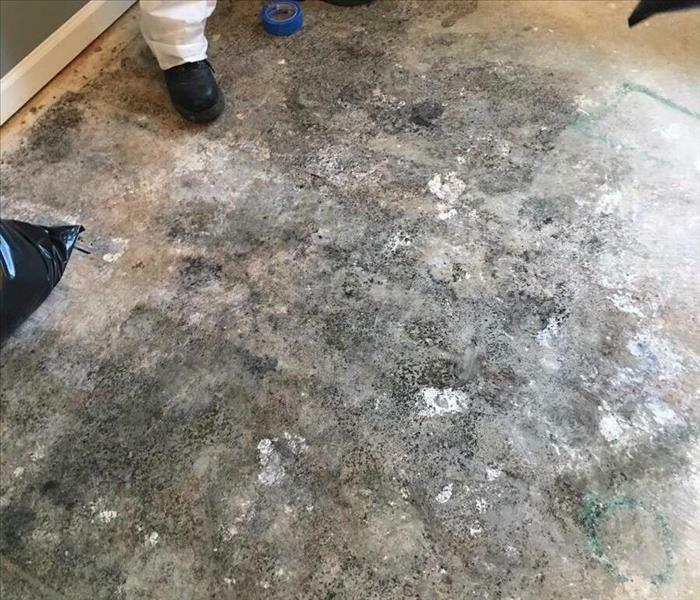 SERVPRO of West Greenville County completed mold remediation in an apartment master bedroom and removed the mold in just one day from the home. Call 864-292-8570 for all your home restoration needs! 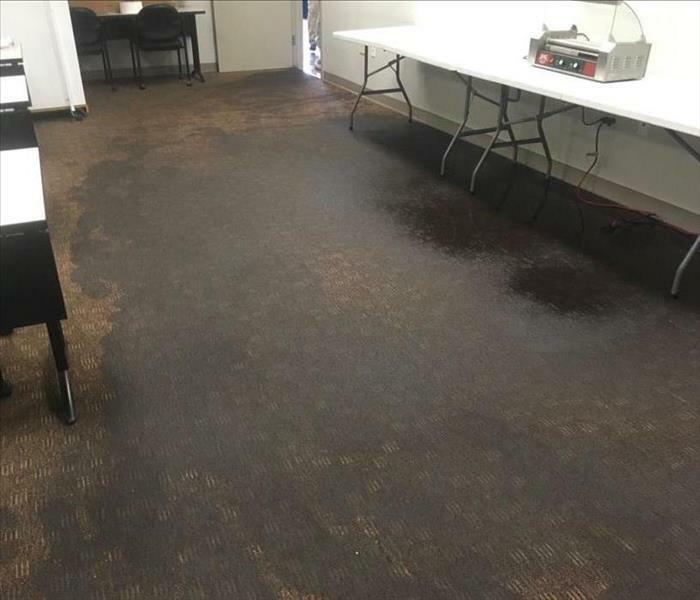 A local company experienced a leak in their ice machine which caused water damage to 3 of the rooms in their building. 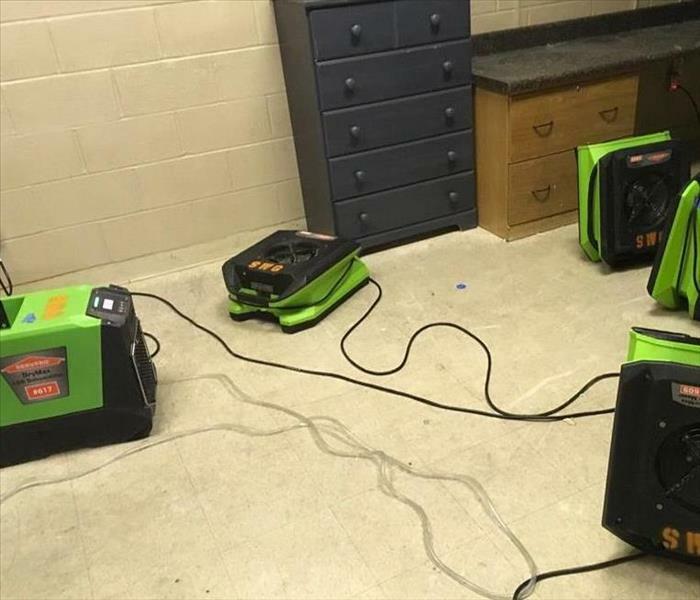 SERVPRO of West Greenville County was quick to dry out most of the affected areas in only 4 days! 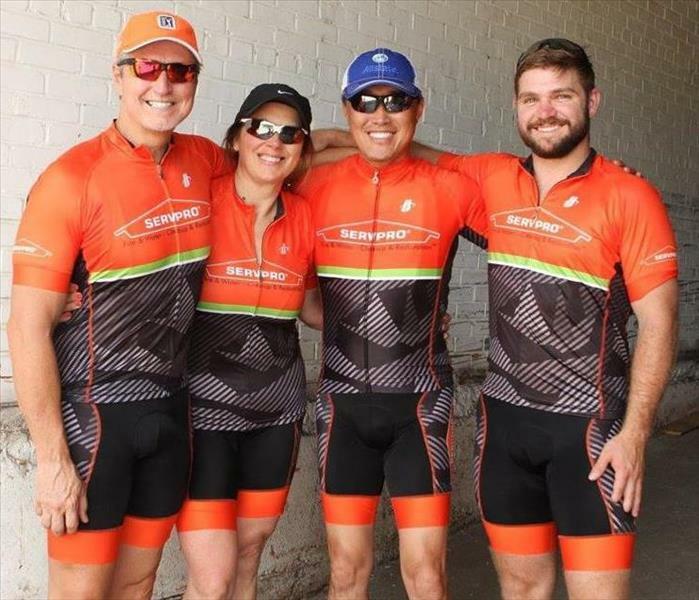 SERVPRO of West Greenville County participated in the 2018 Wheels for Meals Charity Bike Ride this past weekend. All proceed benefit the charity Meals on Wheels of Greenville. We enjoy helping the local charities and communities. 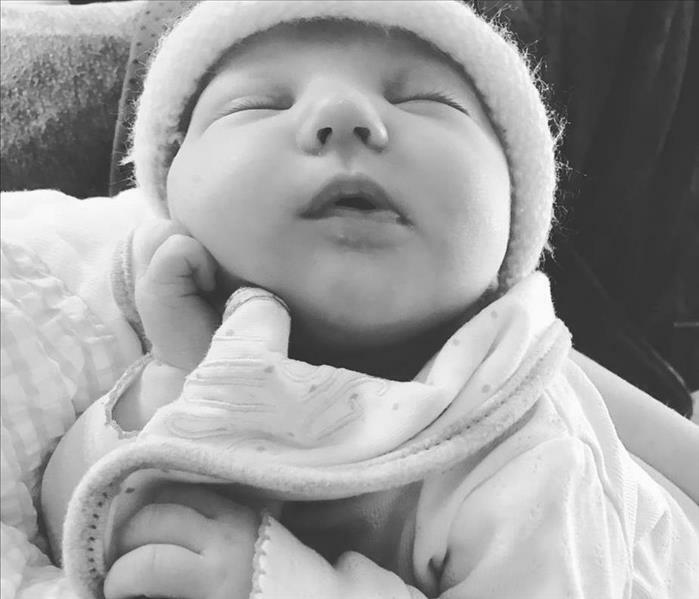 Congratulations to our Office Manager, Holly Lee, who welcomed this sweet little girl into her life a little over a month a go in February! We are so happy for her and her family! SERVPRO of West Greenville County Celebrated our 1 year with a low country boil with our friends, families, and customers! We thank everyone who has made this first year so great and can't wait to have another great year! SERVPRO of West Greenville County help volunteers at a rest stop on the Gran Fondo Hincapie 80 mile bike race! We had a great time volunteering and helping them raise money for Meals on Wheels! 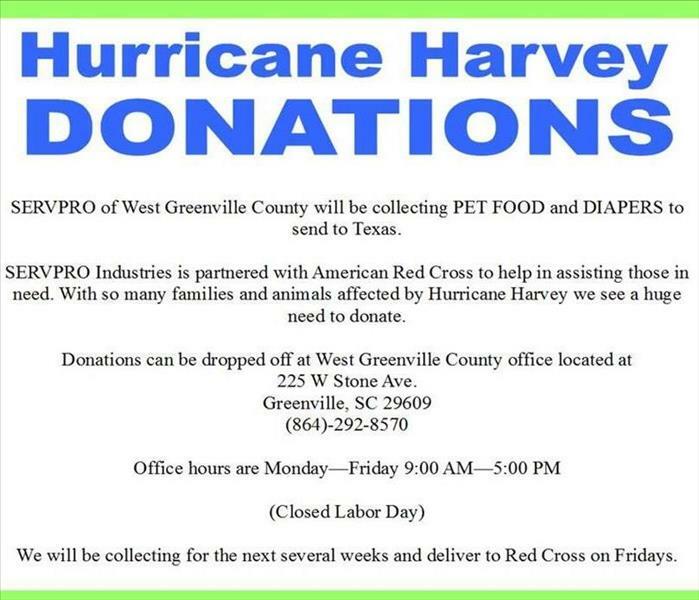 SERVPRO of West Greenville County has been collecting donations over the past few weeks for those who have been affected by Hurricane Irma and Harvey. We want to thank everyone who has already donated! It is appreciated more than you know! 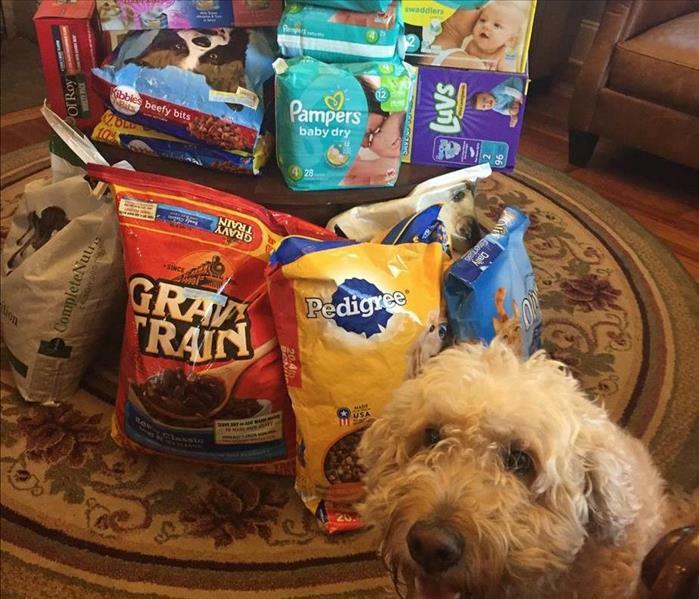 We will continue to collect donations until NEXT FRIDAY, SEPTEMBER 29th! Anything is greatly appreciated! 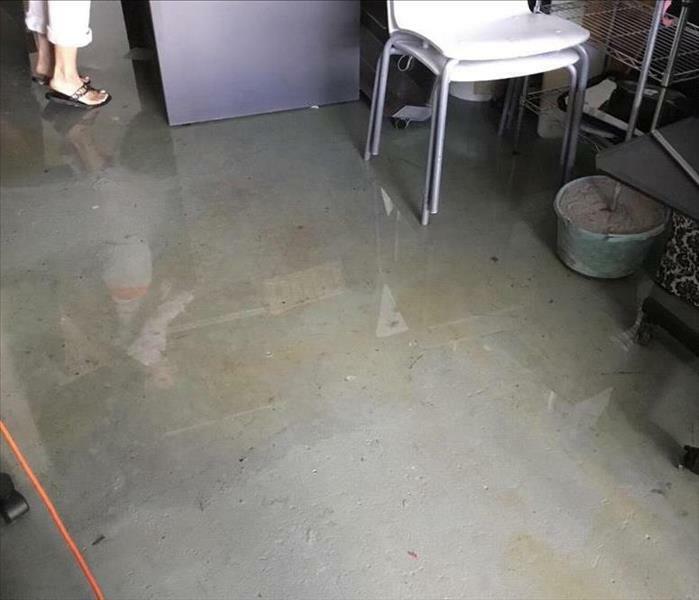 Has your basement experienced flooding? 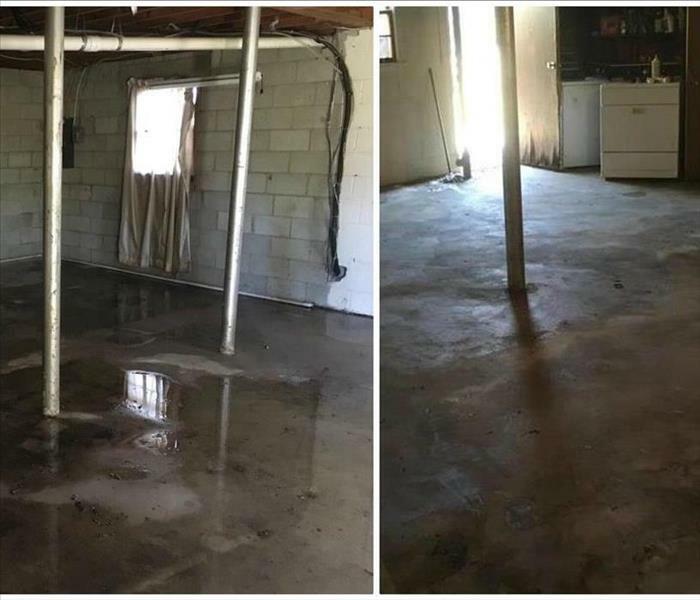 This is a Before and After picture of a basement SERVPRO of West Greenville County restored after it experienced extreme water damage. Call 864-292-8570 today if you need water damage restoration completed in you home! 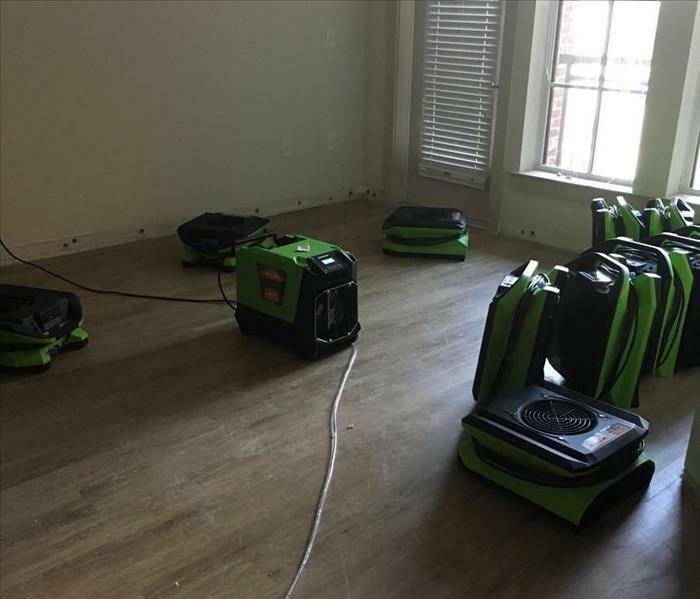 SERVPRO of West Greenville County helps complete water damage restoration to an apartment in Greenville, SC. The water damage occurred due to a broken pipe and flooded multiple rooms in the apartment. Please help victims of Hurricane Harvey by Donating with us to American Red Cross. Stop by our office at 225 W. Stone Avenue Greenville, SC or call us at 864-292-8570 anytime from 9-5! 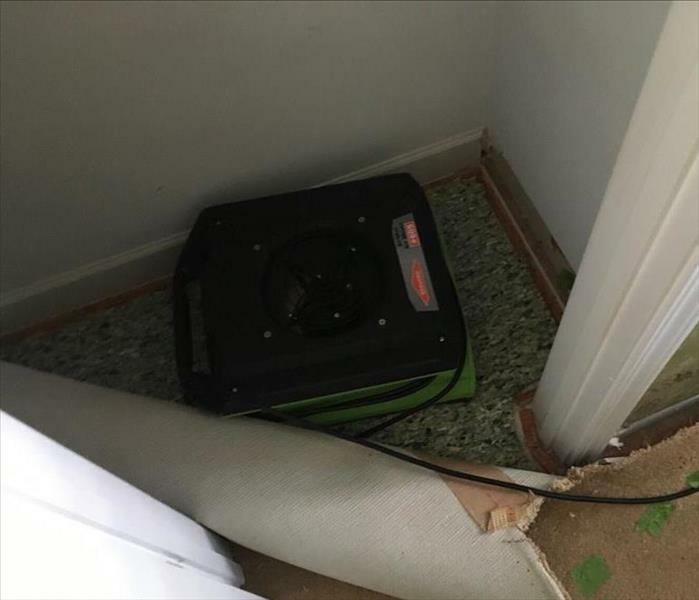 SERVPRO of West Greenville County uses a mat drying system to dry hardwood floors after a home experienced severe water damage. We restored the home back to normal in no time! This Greenville business had flooding due to a storm. 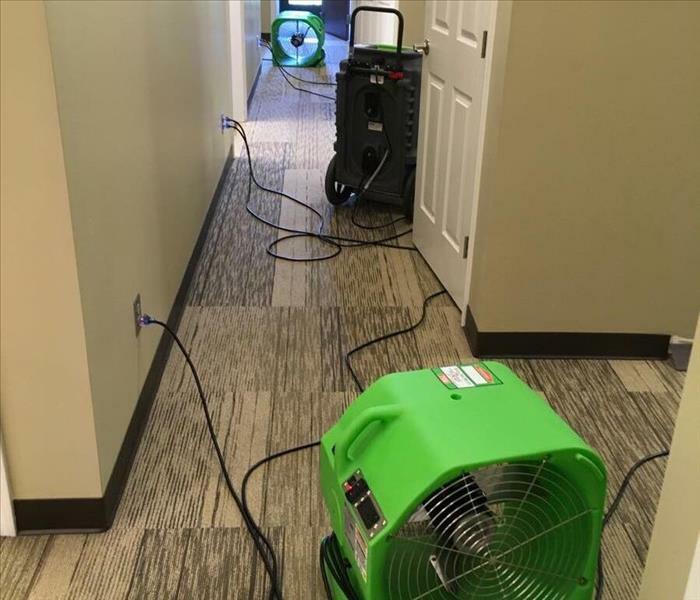 They had standing water in multiple rooms of their office space and wanted it dried as soon as possible! We completed the drying overnight and the business was back up and running the next day! This business experienced flooding when a storm hit the Greenville area. 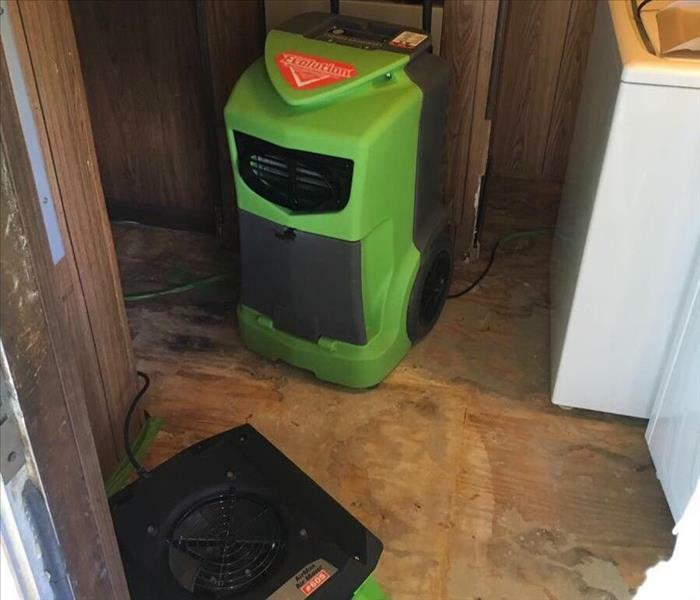 The customer did not want to disrupt the business and asked if SERVPRO of West Greenville County could complete the drying overnight. We returned the business back to normal by the next morning! 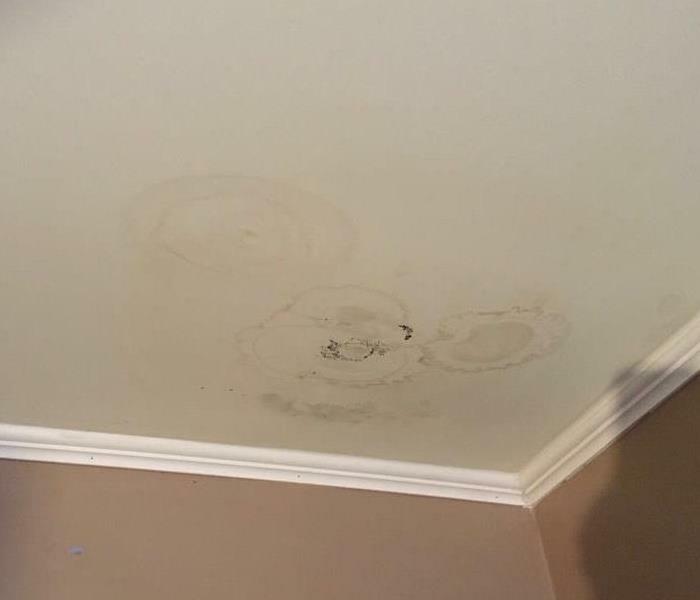 A storm caused a leak in a roof at a Greenville, SC home leading to water damage inside their house. 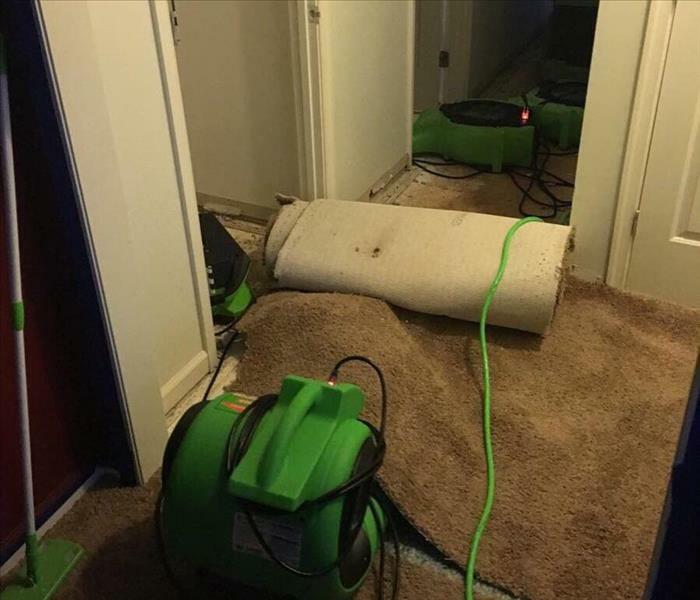 Multiple rooms had water in them and had damaged carpet, but we were able to fix the problem in no time! 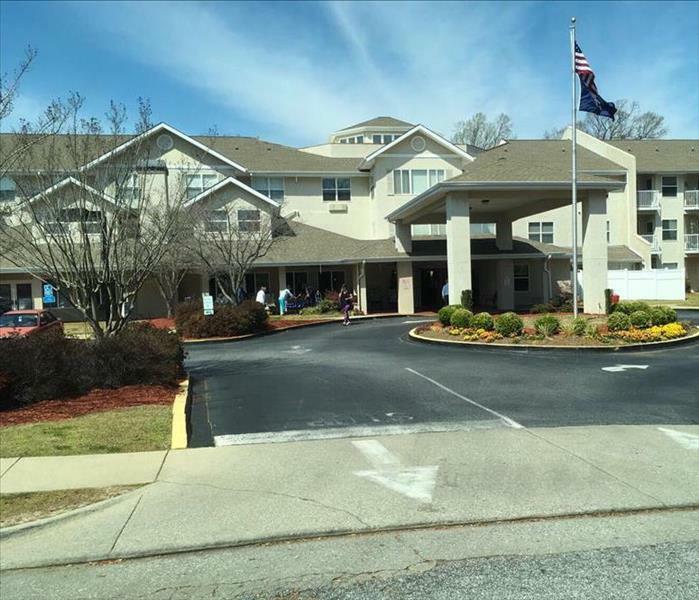 A home in Simpsonville, SC found mold in their carpet in multiple rooms. 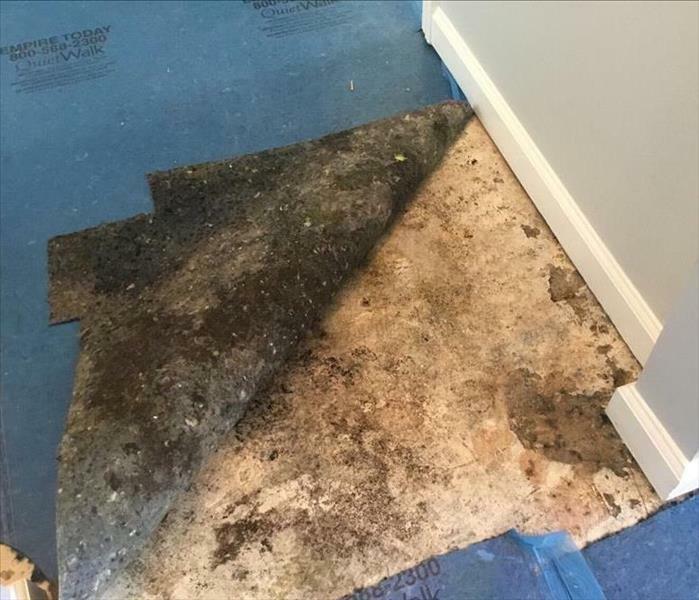 The homeowner asked SERVPRO of West Greenville County to remove the carpet and fix the mold problem in their home! 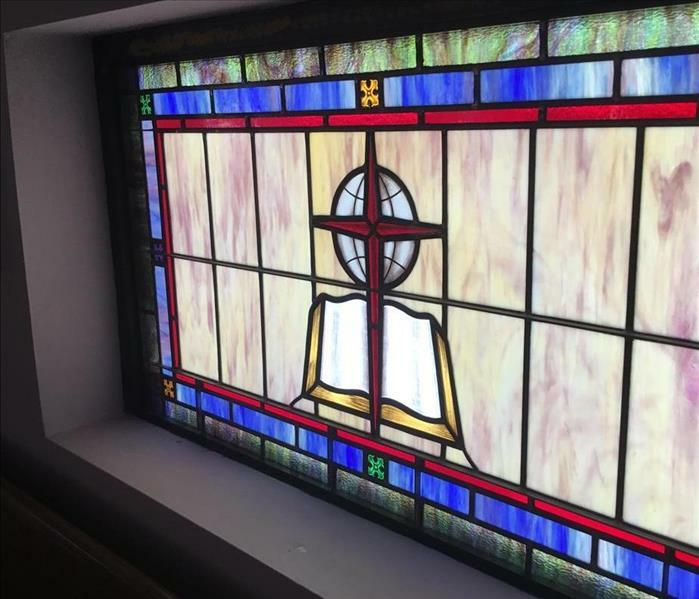 SERVPRO of West Greenville County helped clean a local church's stain glass windows. There were multiple windows throughout the church that were in need of cleaning and we helped make them look as good as new! 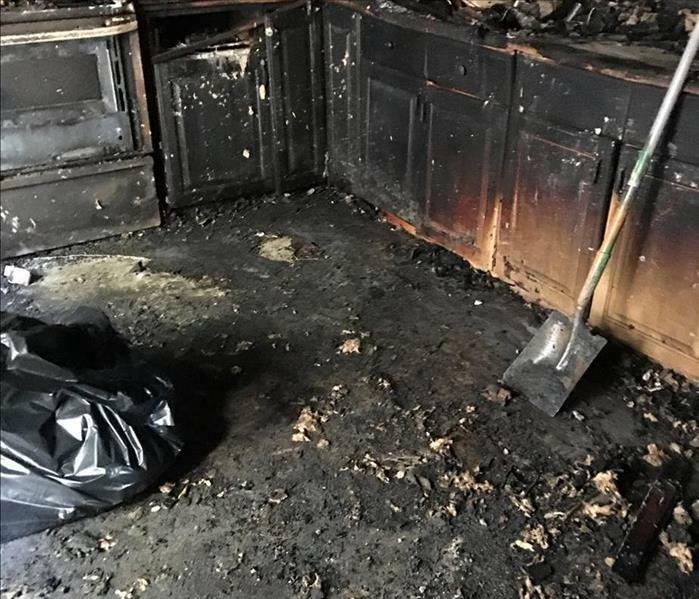 The ceiling and walls of this South Carolina home were destroyed due to an electrical fire starting in the kitchen. The entire home was damaged, but we helped restore the home to make this hard time a little more bearable for the homeowners. 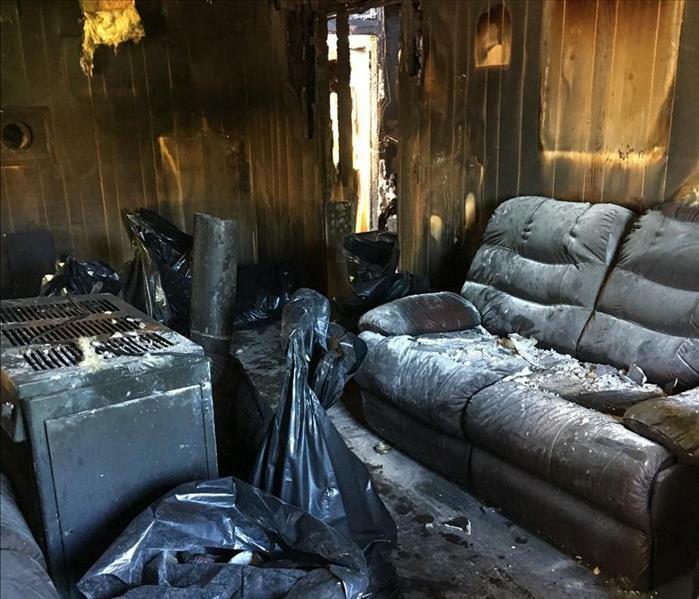 This home in South Carolina experienced a terrible electrical fire. The damage left behind was very extreme. The homeowner called SERVPRO of West Greenville County to help clean up the damage and restore the home! 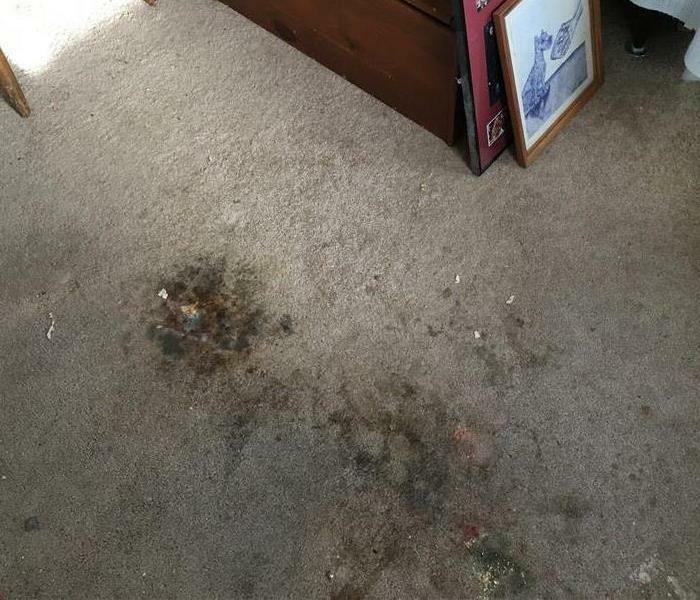 A home located in Simpsonville, SC originally called us due to a leaking pipe; however, it turned out they also had mold underneath their carpets. We were able to get rid of the mold and fix the leaking pipe in only a few days! 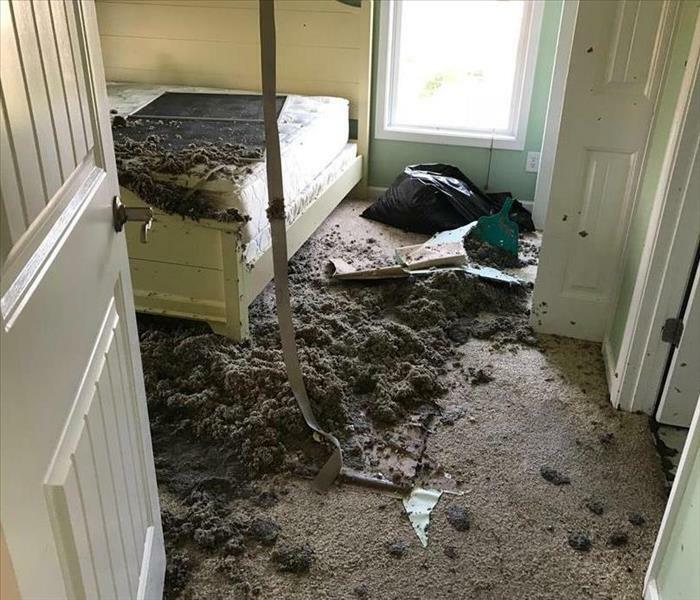 A drain pipe from the washer caused water damage to the bedroom carpet in this Greenville, SC home. 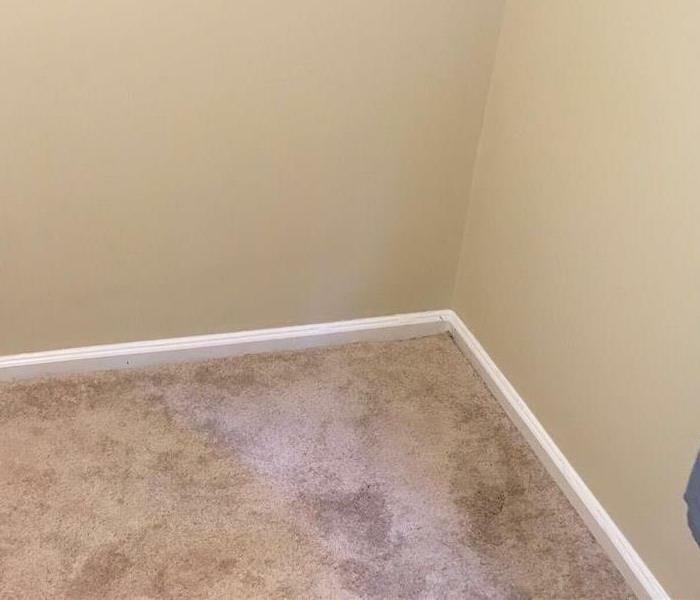 SERVPRO of West Greenville County was quick to complete the drying and return the carpet back to normal! The toilet in the master bathroom in this Greenville, SC home flooded while the family was away on vacation. There was damage to multiple rooms in the house and the ceilings. We helped repair the home as fast as possible! 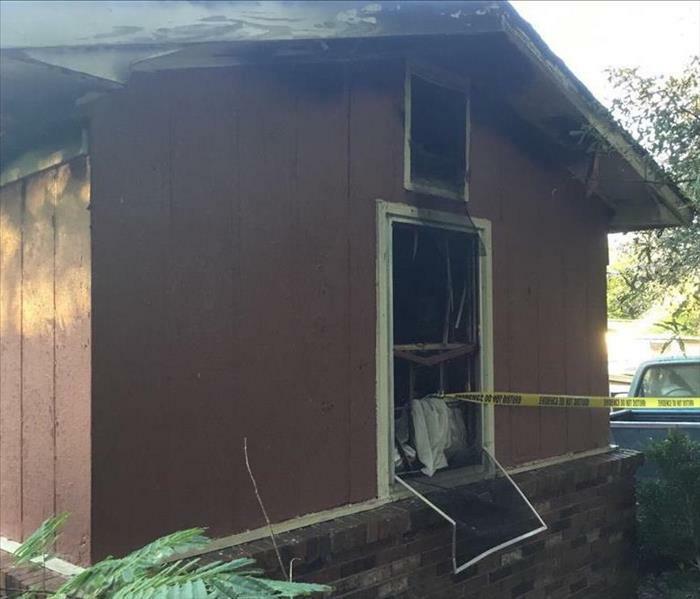 An electrical fire caused multiple windows to break in this local home in South Carolina. 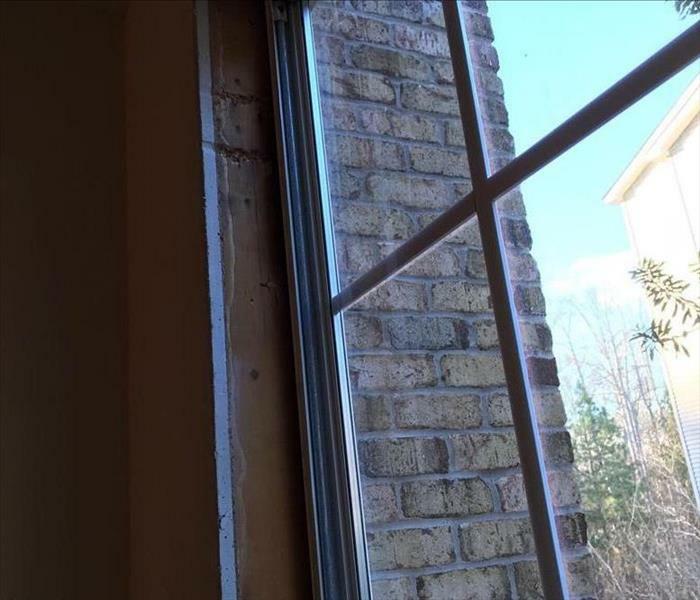 Not only did windows break, but the ceiling in the home collapsed. SERVPRO of West Greenville County made this horrible disaster a little bit better with their efficient work and ability to restore the home! A home caught on fire due to an electrical issue. There was fire damage all over the house. Many of the windows were busted out like this one here. SERVPRO of West Greenville County was able to restore the house back to normal in minimal time! Due to lightening, a local South Carolina church caught fire. Lightening stuck and started a fire in the media room of the basement of the church. 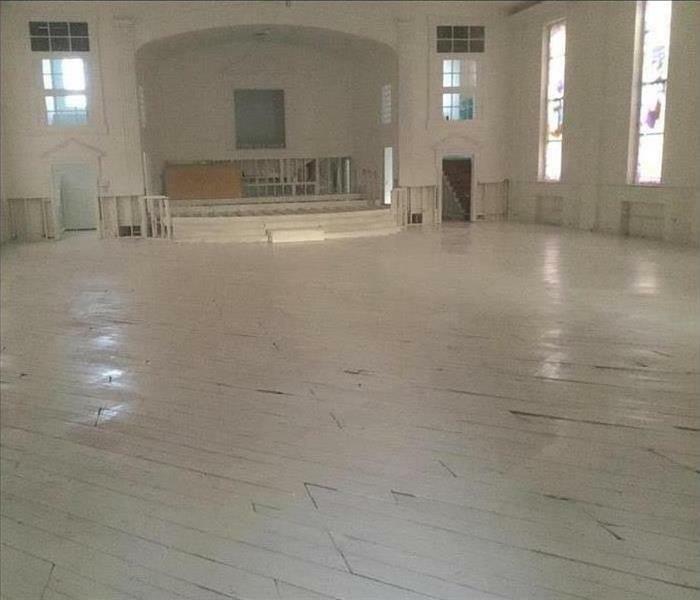 There was fire damage and smoke odor everywhere and SERVPRO of West Greenville County restored the church in no time! 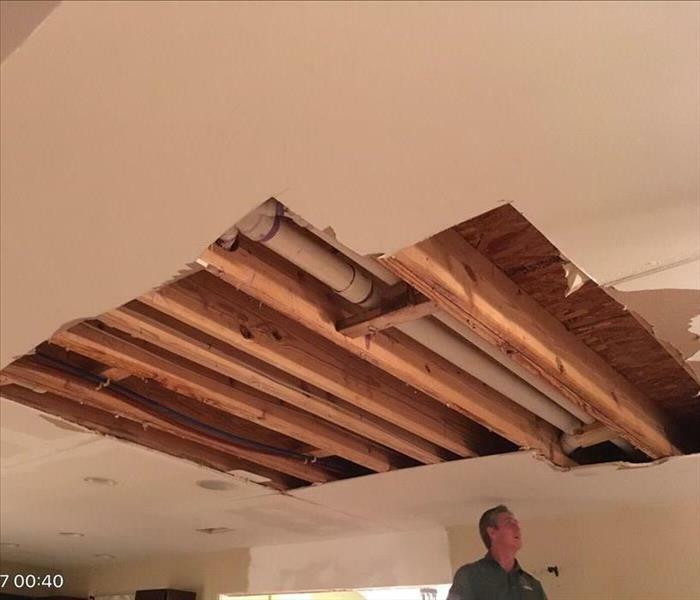 A home in Piedmont, SC was flooded after heavy rain due to a leak in their roof. SERVPRO of West Greenville County restored their home back to normal in no time! 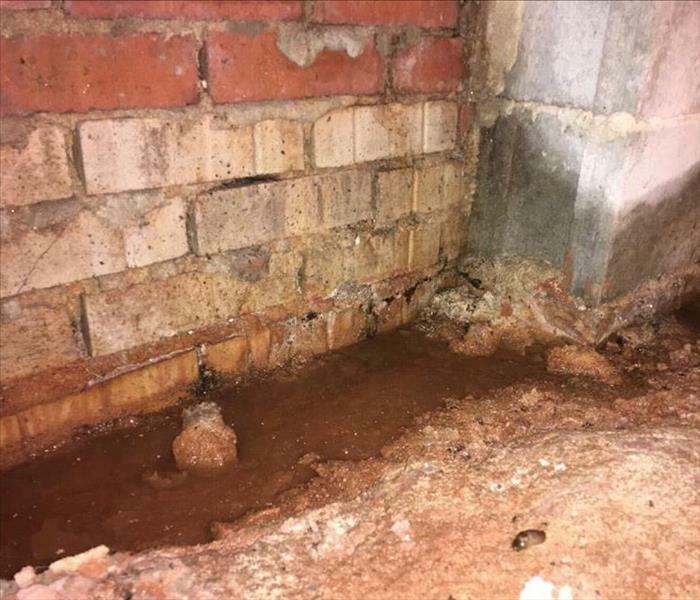 Due to heavy rainfall, the crawl space in this Greenville, SC home became flooded. Thanks to our endless supply of equipment we were able to dry out the area in only 4 days! After a bad storm in Simpsonville, SC a home flooded. The ground in the kitchen and living area was covered with water. SERVPRO of West Greenville County restored her home back to normal only 2 days after the flooding occurred! 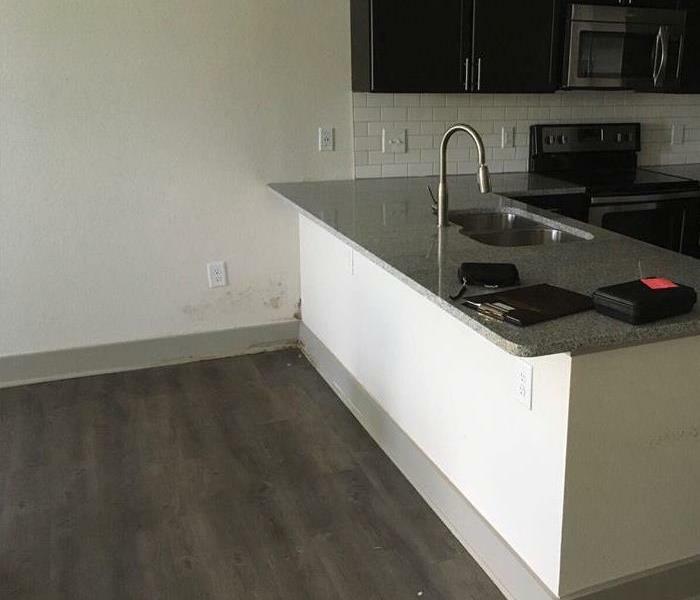 A Greenville, SC apartment found mold on the baseboard and drywall near the kitchen. They called SERVPRO of West Greenville County to complete mold remediation in order to get rid of it as soon as possible. The homeowner was experiencing a bad smell in his house and wanted to find out if it was mold. SERVPRO of West Greenville County found mold on the ceiling in the basement and was ready to get rid of it! SERVPRO of West Greenville County helps clean a local Presbyterian Church in Greenville, SC. We completed basic cleaning for this church and they have always been very pleased with our results. 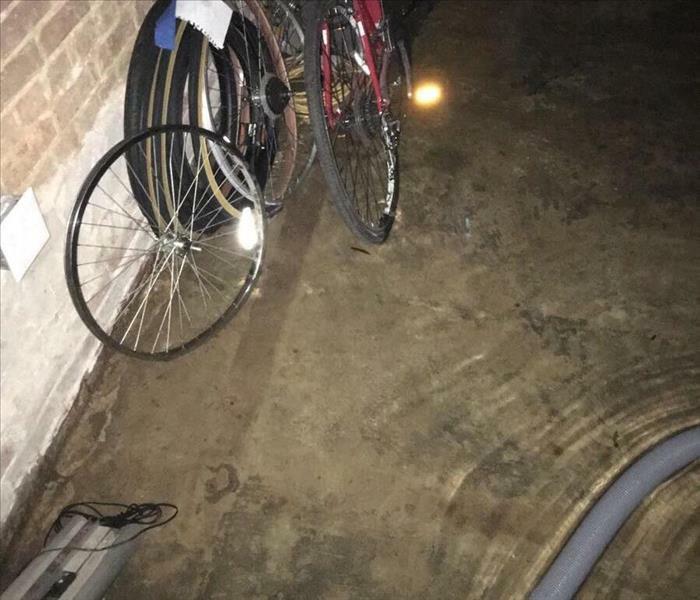 A water line at a local bike shop in Greenville, SC broke and flooded the office space. SERVPRO of West Greenville County removed all of the water and returned the office back to normal within 6 days! 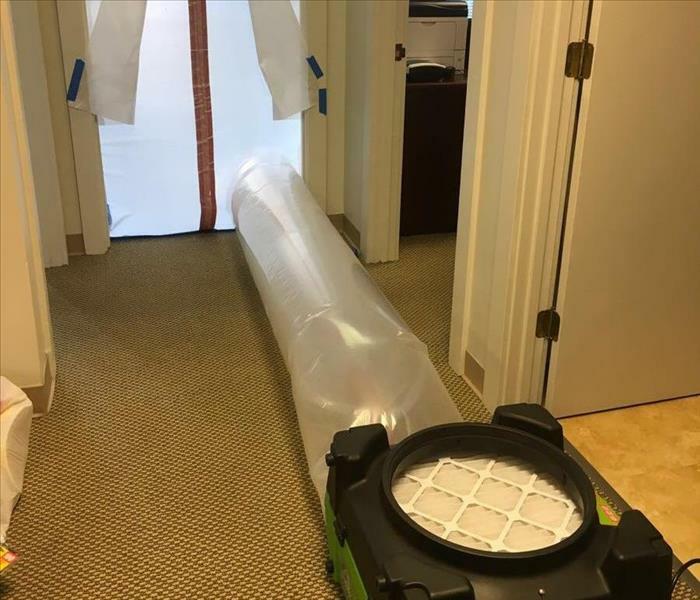 A local business in Greenville, SC found mold in their office and immediately called SERVPRO of West Greenville County to get rid of it. We brought in some of our excellent equipment and made sure all of the mold was gone and the air was safe once we were finished! 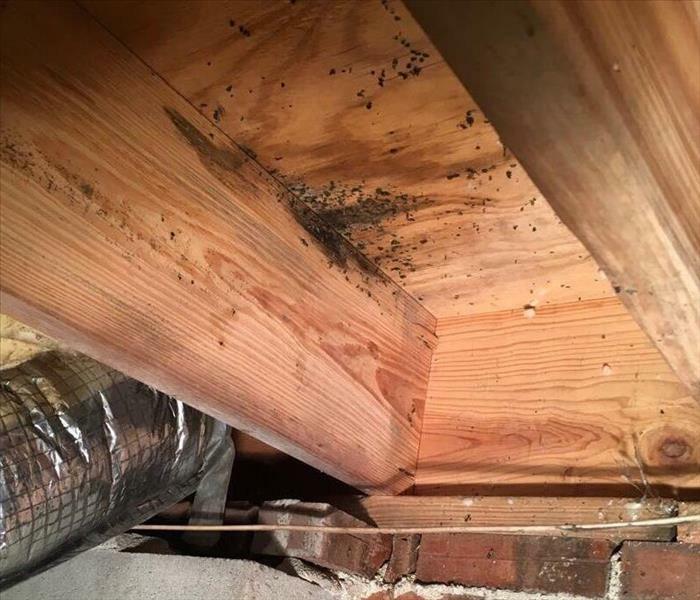 A homeowner found mold in his home in Greer, SC. He called SERVPRO of West Greenville County to complete mold remediation on his home. The mold was removed within only a few days and the customer was very satisfied. 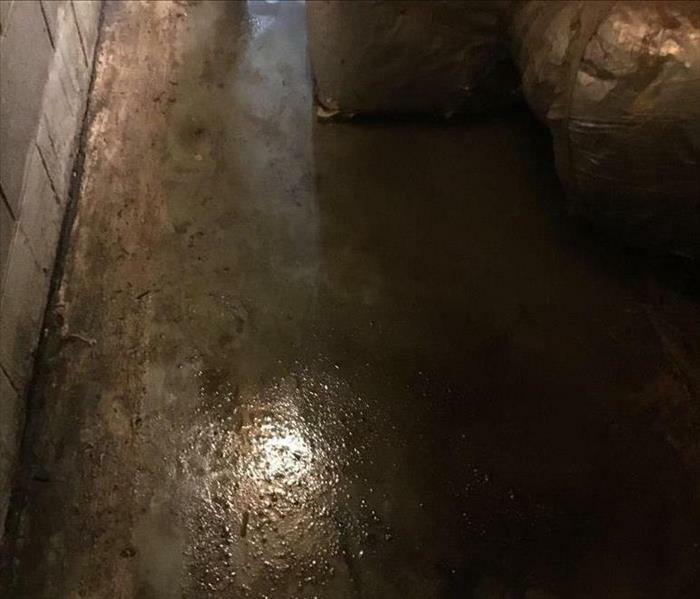 After heavy rainfall one weekend, this home experienced flooding in the crawl space. Within five days of the heavy rainfall, SERVPRO of West Greenville Country got rid of the water and restored the home! 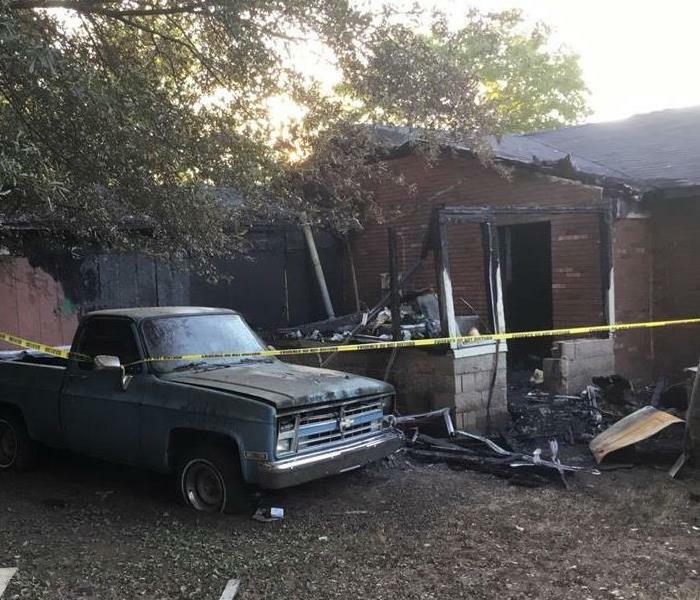 An Electrical fire that started in the laundry room spread through the house, which caused the ceiling to fall and all the windows to break leading to major damage. The owner was shocked with how well SERVPRO of West Greenville County restored the home after such a disaster. 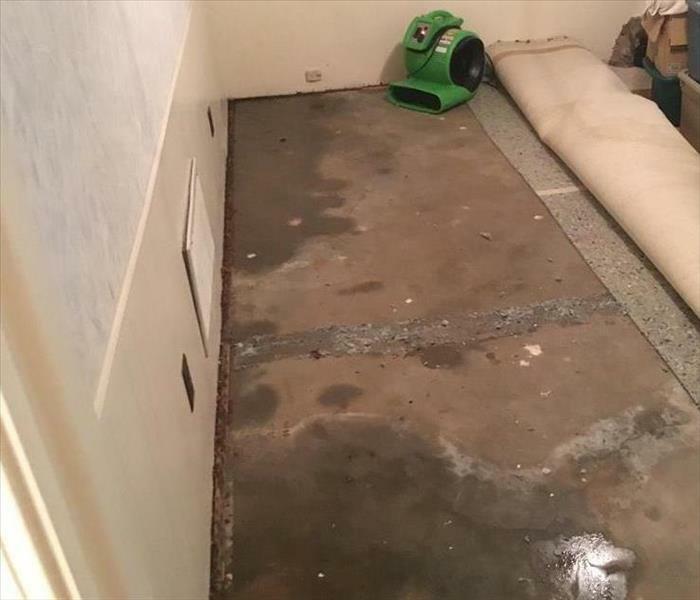 SERVPRO of West Greenville County restores a flooded home in Greenville, SC after a sink leaked in the home. We were at the house in less than a hour after receiving the call. The owner of the home was very pleased with our work. 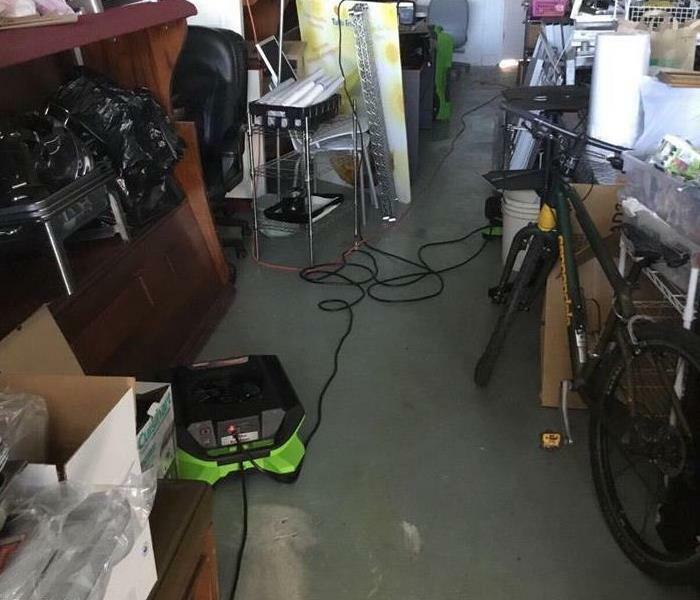 The HVAC pan overflowed in this home causing water damage to the basement. The drying and restoration of this house was completed within three days. The customer was very happy with SERVPRO of West Greenville County's efficiency in getting this project done. A home in Simpsonville, SC was getting new flooring put in when they found mold. The homeowners called SERVPRO of West Greenville County to solve the issue. In less than a week the mold was removed from the house! 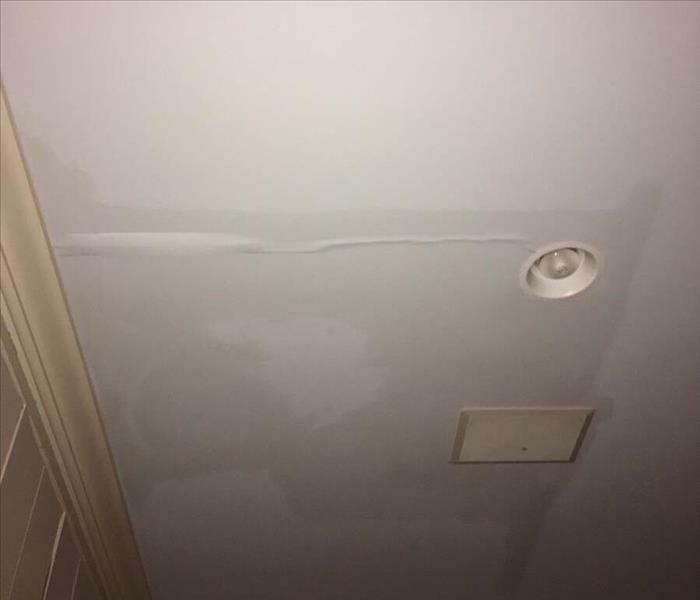 A pipe leaked in a home in Greenville, SC causing damage to the ceiling and floor of the home. Three days after receiving the call, SERVPRO of West Greenville County restored the house back to normal! The owner was very pleased! Due to a leaking refrigerator, the kitchen and laundry room in this house were covered in water. Within four days of this happening, SERVPRO of West Greenville County had the home back to normal. After a leaking pipe, this local dentistry in Simpsonville, SC had water damage everywhere. SERVPRO of West Greenville County brought in some of their best equipment and restored the dentist office back to normal! 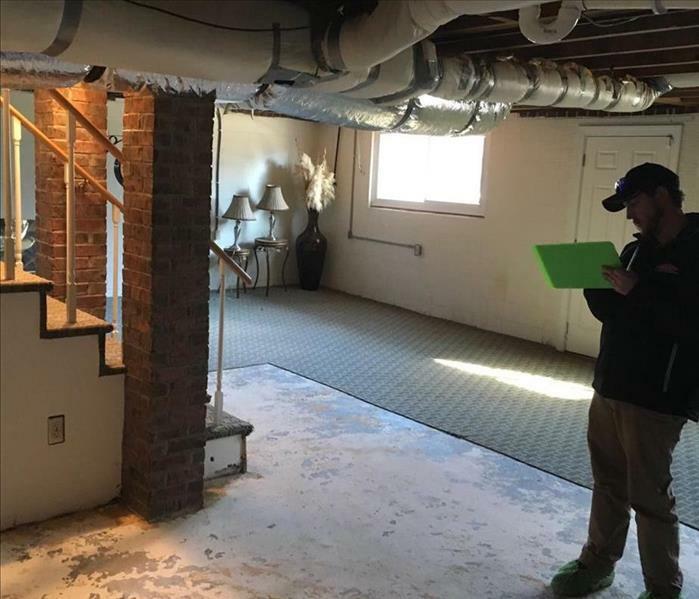 A member of the SERVPRO of West Greenville County team checks to make sure the ceiling was cleaned properly in order to eliminate a cigarette odor found in this home. Johnny and Valerie Lee had a wonderful time cycling with some of their friends this Memorial Day. The first annual Memorial Day Ride to benefit the Green Beret Foundation was a huge success and a lot of fun. 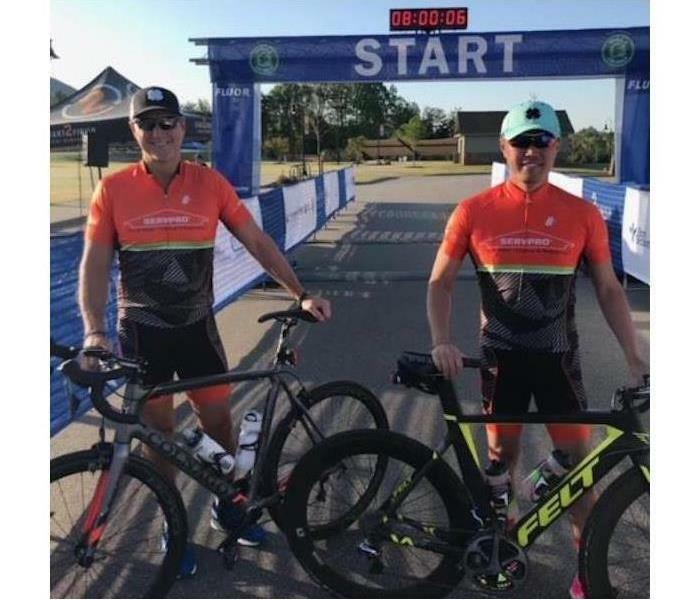 SERVPRO of West Greenville County is a proud supporter of healthy fitness lifestyles and enjoy supporting local events such as this ride hosted by Carolina Triathlon. If you need unsafe chemicals, particles, or gasses in the air at your home removed SERVPRO of West Greenville County is ready to help! We will bring one of these Air Scrubbers to your home to filter the air. Air Scrubbers are portable air moving devices equipped with carbon filtration. After we come to your home with this machine, the air in your house will be as good as new. SERVPRO of West Greenville County has a van that is packed up and ready to come to your house! We are ready to help you clean and restore your house to where it looks "Like it never even happened." 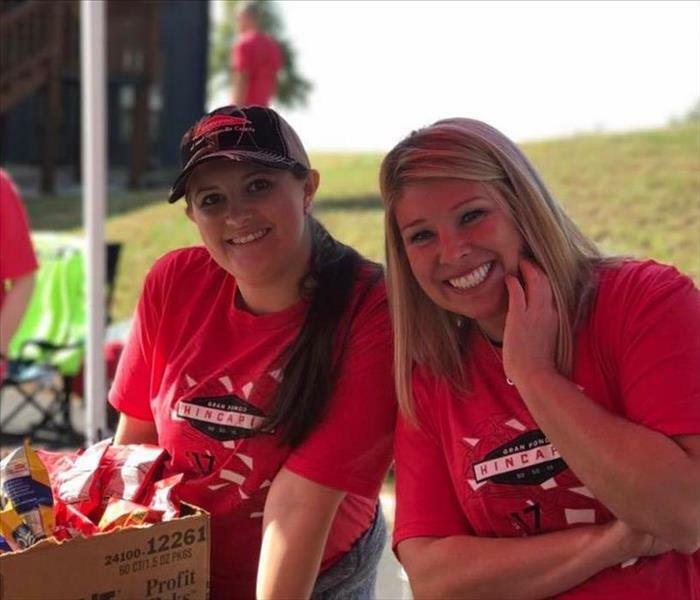 Two of our employees enjoyed handing out free water and popsicles to children from a local school in Greenville as they revealed the mural the school painted for the community!